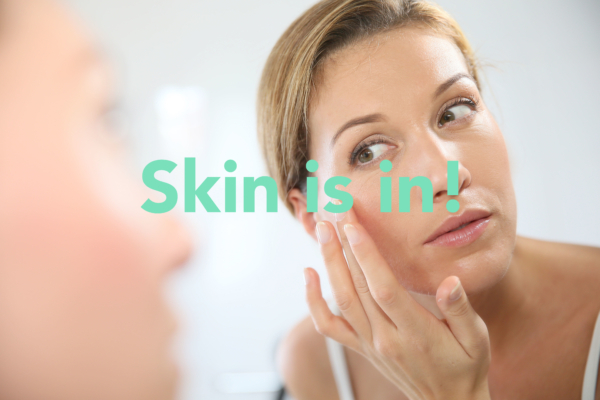 Skin is your biggest barrier towards the outside world and to certain exposures such as the heat, cold, wind and also unwanted infections and chemicals. But skin serves more than just a barrier. It is also your largest organ, encompassing your entire body, representing YOU to THE OUTSIDE WORLD. It is a mirror of a healthy body. What does healthy skin look like? Healthy skin is smooth, with no breaks on its surface. It should not be warm, hot, or red. It should not be dry, flaky or wrinkled. Proper skin care is essential for not only having a healthy skin barrier but also to maintain a youthful glow which slows down the process of ageing. There are three areas that encompasses great skin care and that’s HYDRATE, REPAIR and REVERSE! 1. HYDRATING the skin is the cornerstone of having a receptive foundation to excellent skin. Moisture and water are integral parts of your skin so that whatever active nutraceuticals you put on the skin will actually work! When the skin gets dry or irritated by harsh soaps, or cheap moisturisers, cracks in the skin can occur. This ultimately makes our skin more prone to infection or conditions such as acne, eczema and discolouration. Keeping our skin healthy and moist helps keeps this barrier strong!! 2. REPAIR the skin barrier through excellent treatments! This includes active pharmaceuticals that get delivered into the deeper layers of your skin to treat your condition whether that be rosacea, eczema, melasma or just general dull, uneven skin tone! Treatments are usually done at night. Daily use of moisturiser and sunscreen is a MUST when treating your skin! 3. REVERSE the signs of ageing. Vitamin A is the cornerstone of anti-ageing due to its ability to RENEW skin cells and differentiate your deeper layers into new baby skin! Use sunscreen! A broad spectrum sunscreen with at least SPF 15 should be used daily. Unfortunately, sun damage isn’t skin-deep. The sun is also the biggest aggravator of ageing causing our cells to deteriorate. UV radiation alters the actual DNA of skin cells causing the unwanted lines, wrinkles and discolouration and after extended exposure, even cancer. To reverse this damage, regular treatment with anti-oxidants and vitamin A need to be adopted and maintained! Healthy skin is all about ROUTINE! Make the above a habit. Wash your face every night before you sleep to keep skin clean and fresh. Use a good cleanser that is appropriate for your skin type as well as a toner and remember to MOISTURISE and wear SUNSCREEN! Head over to our product page to take a look at our Skincare Products!